Nine Inch Nails is riding high on the publicity of its heavily hyped Ghosts I-IV release and is capitalizing on that buzz with a new free album release, The Slip. 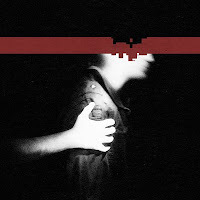 It’s available exclusively as a free download, but physical releases are in the works.There’s a 2008 Nine Inch Nails Tour coming up this fall, and it’s clear that NIN’s using the The Slip as a promo to build interest in its upcoming tour. “Thank you for your continued and loyal support over the years - this one’s on me,” says Trent Reznor, and a fine thank you it is. While Ghosts I-IV was an interesting (and successful) experiment, The Slip is a full-bore Nine Inch Nails album. The album is a mix of environmental/ambient tracks & rockers, with a piano ballad thrown in for good measure. The Slip gets off to a slow start with 999,999, an ambient track that sounds a bit Eraserhead industrial noise, and wouldn’t have been out of place on the Ghosts I-IV release. It quickly morphs into 1,000,000, a straight-ahead NIN rocker. It’s as blistering as anything NIN has done.